Fees associated with Turkish PCT national phase entry as well as other patent fees are available in the fee calculator. The applicable time limit for entry into the Turkish national phase of a PCT is 30 months from the priority date and can be extended by three months if the applicant pays the fee for requesting an extension of time for entry into the national phase. - payment of the official fee (must be submitted within seven days from filing). The official language of the Turkish patent application is Turkish. 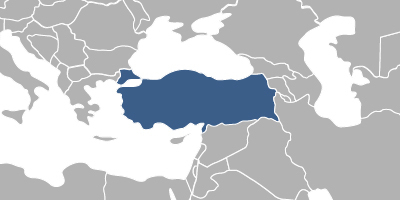 If the international application is filed in any official language of the country that is party to Paris Convention or WTO Agreement or in any official language of the country which grants legal and de facto protection to Turkish residents in accordance with reciprocity principle, the translation thereof into Turkish should be submitted within 2 months from entering the Turkish PCT national phase by paying additional fees. The submission of POA is not required to perform the PCT national phase entry in Turkey. No Assignment Deed is required. If the applicant of the Turkish national phase application is not the inventor, he must declare in the application how he has acquired from the inventor the right to apply for a patent. If the PCT application under Chapter II has a positive decision of the Preliminary Examination the patent in Turkey may be directly granted without a local request for substantive examination. The applicant of the PCT application under Chapter I shall request substantive examination. The PCT national phase applications are not subject to the state of the art search due to the availability of the International Search Report. The novelty grace period in Turkey is twelve months prior to the international filing or priority date. If the information on the invention became available to the public at the internationally recognized exhibition within this period, it does not disprove the novelty of the invention in Turkey. - starting from the 2nd year of the international filing date, providing that patent application was filed before January 10, 2017. The appointment of an agent, a registered Turkish patent attorney is required if the applicant does not reside in Turkey to perform the Turkish PCT national stage entering. 1. Online Search Databases: Turkish Patents, European Patents (EPO). 2. The patent in Turkey may also be obtained via registration of the European patent and its further validation in Turkey. 3. PCT applications may also be protected as Utility Models in Turkey, which are subject to formal examination and State-of-the-Art search. Methods and chemical products are not protectable. Maximum protection period of a utility model in Turkey is ten years from the international filing date.